In jazz, the primacy of vocals has come in waves, such as the ’20s and ’30s, the period commonly known as “The Jazz Age,” when the genre reached its popular peak and so many songs that we now call standards, or evergreens, were born—songs so beautiful that they’ll last forever. The strong appeal to use the voice as an instrument in jazz music has enjoyed a recent revival, ever since the ’90s, roughly. Even singers who previously had nothing to do with jazz, from Rod Stewart to Lady Gaga, are now looking to build upon that repertoire. The fact is, if it has a pleasant timber, if it’s beautiful and persuasive, if it’s capable of touching the most intimate cords of our souls, the voice wields a power unlike any other instrument. Why? It’s simple: there is no intermediary between the song and us; no physical object is needed. Not a trumpet nor a piano nor a set of drums. There’s only the air that transmits vibrations, and vibrations translate into inner feelings. Immediately. How many times, listening to a singer, have we suddenly shouted, “That’s Frank Sinatra! That’s Barbara Streisand! That’s Ella Fitzgerald!” The tone of their voices is so expressive and recognizable that it becomes as familiar to us as the voice of our parents or friends. Indeed, we hunt them down when we need them, when, deep down in our soul, we need someone who can reconcile us to life when we’re depressed or raise our spirits even further when we’re happy. Singing is a part of us; we can’t live without it. And thank God! However, unlike the grand tradition of opera, Italian jazz has produced next to no major singers. Often there have been pale imitators of American singers, but rarely have there been any stars. It may be a language barrier; jazz is Anglo-Saxon at heart, and therefore differs vastly from the scansion of Latinate languages. Or maybe it’s something else. Whatever the case, today we can count ourselves lucky to have a major Italian jazz singer in America, Roberta Gambarini, who has earned her just deserts. And we have at least one other extraordinarily talented residing in Italy: Maria Pia De Vito. As for the men? Unfortunately, there haven’t been many. We must content ourselves with Frank Sinatra, who came from Italian stock, and Anthony Dominick Benedetto, who continues to send a shiver down our spines at the ripe old age of 88. 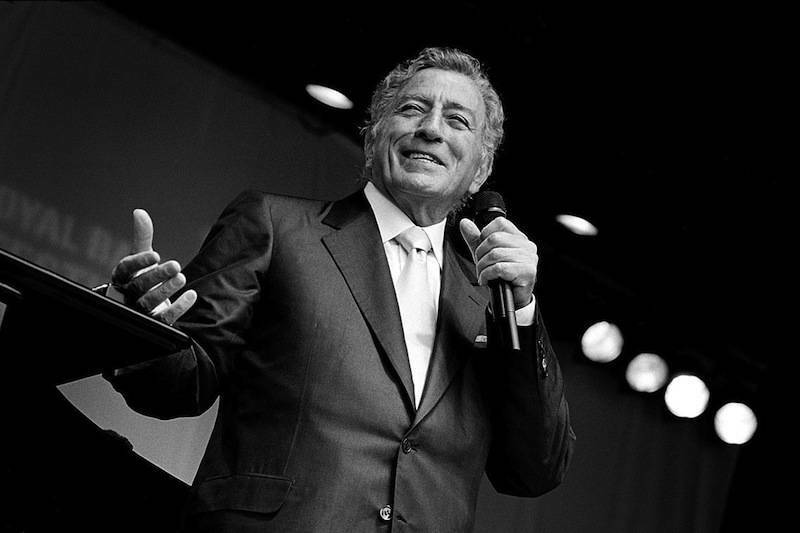 The son of Italian immigrants, he also goes by the name Tony Bennett. Whatever the case may be, song is in our blood!